The CSPDC’s housing and community development programs focus on programs and projects that address community development needs, including affordable housing, housing rehabilitation, community facilities and infrastructure improvements. CSPDC has been instrumental in securing State and Federal funds to help build the infrastructure and public facilities needed to improve the living conditions of citizens throughout the region. The CSPDC provides planning, grantsmanship, liaisons, financing via public funding and project management for housing, community facility and utility projects throughout the Region. For many of our localities, housing is a central issue in planning for the future. CSPDC has been instrumental in assisting localities in developing housing programs and administering housing projects which provide safe, decent, affordable housing for low, and moderate-income households and first-time homebuyers in the Region. Regional First-Time Homebuyers Program - Through a state program administered regionally by the CSPDC, this program offers special low interest mortgage financing, homeownership counseling and down payment and closing cost assistance to low and moderate income first-time homebuyers in the region. Since it began in 1998, the program has served more than 230 households in the area. Greenhouse Village - The Greenhouse Village Housing Project is an affordable housing initiative in Rockbridge County. The project consists of approximately 1,200 linear feet of sewer systems and storm drainage facilities, 950 linear feet of water systems, and 700 feet of roadway throughout the neighborhood. When completed, the project will provide for the construction of eight Habitat For Humanity homes for low- and moderate-income (LMI) families and the infrastructure required to serve them. 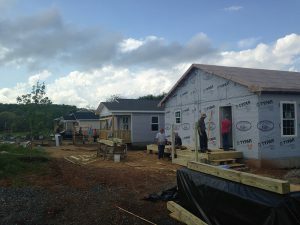 The project was made possible by a Community Development Block Grant (CDBG) from the Virginia Department of Housing and Community Development (DHCD), and is being facilitated by a partnership between Rockbridge County and Rockbridge Area Habitat for Humanity. 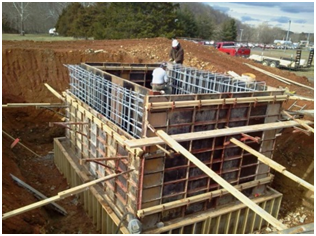 The CSPDC assisted Rockbridge County with the CDBG grant proposal and has provided ongoing grant administration for the project. Dickinson Well - Dickinson Well is Buena Vista’s most productive water source. When operating, it provides roughly 60 percent of the total water supply for the city's businesses, 6,650 residents, and Southern Virginia University. In November 2009, the Virginia Department of Health determined that Dickinson Well was under the influence of surface water. Returning service of Dickinson Well was both necessary and expensive. With grant writing assistance from the CSPDC, the city was awarded a $1 million grant to restore Dickinson Well to service with the installation of a membrane filtration system. Construction began in December 2013, with the CSPDC also providing grant administration services for the project. The completion of this project in March 2015 provides an abundant and reliable water supply for the City of Buena Vista and improves its ability to compete for economic development opportunities.